The Global Franchise Forum 2017 will be held at the Ameron Hotel in Hamburg, an annual event by Franchise Pool International. 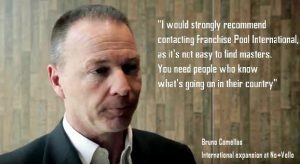 FPI is Europe’s leading network of expert franchise consultants of their own local market, offering 360 degree support to franchisors who want to face entry and expansion in foreign markets. 3io, FPI Italian partner, will present opportunities and challenges for franchising in Europe by providing precious information and best practices. The event will start with the opening cocktail on the evening of April 25, to continue on the 26th and 27th with the master classes alternation, brand presentation, one-on-one meetings between consultants and franchisors, and informal moments of socialization. You can register as a brand, presenting your concept to the Forum, or as observers, if you just want to attend workshops and insights. Detailed event information can be downloaded here. The registrations are made through the FPI partner in your country by requesting the appropriate form to fill in and sign.